The other day I received an email from a friend where she asked me if I thought that having excellent math skills were important in a programmers career. I’ve heard this question asked before and while I thought that might have been the case when I was a lot younger (when I had zero plans to go into the IT world)... I’ve not seen this to be true. My response to her was that it really depended on the types of programming work that one might want to go into. There are definitely programming jobs that require extremely advanced mathematical skills, but I’d guess that many, if not most, don’t really have that sort of prerequisite. So, as I was saying. I think it really depends. 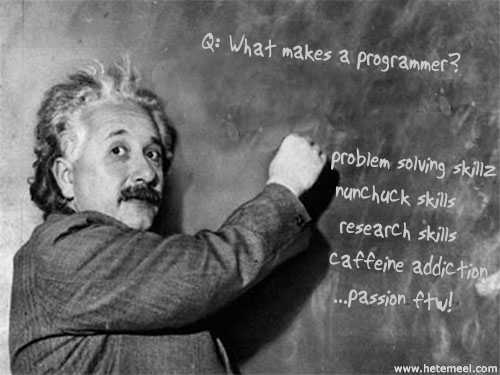 It depends on what sort of programming you’re interested in pursuing. In general, when we’re looking to hire someone at Planet Argon, we’re looking for people with good research and problem solving skills. Programming languages are tools to help solve problems and build things. So, while math skills are useful, they aren’t likely going to make or break a developer. Like any career, it should be something that you’re passionate about. I’m curious. As programmers… how would you respond to the following question? I can only answer the question from my own perspective and would like to share some others. Thanks!